Draft: 2009, Arizona Diamondbacks, CAth rd. Matthew Glen Davidson…wife's name is Julianne…has 2 children: daughter Brixton (4) and Wake (2)…has held baseball clinics for special education students in his hometown of Yucaipa, Calif. the past 3 offseasons…drafted out of Yucaipa (CA) High School in 2009, recommended/signed by ARI scout Jeff Mousser…rated by Baseball America as 3rd-best high school power hitter in the 2009 draft…his brother, Kevin, was briefly in the CWS system in 2017. Set career highs in 2B (23), BB (52), and R (51), ranking among team leaders in BB (2nd), AB/RBI (3rd, 7.00), HR (T3rd, 20), RBI (4th, 62), and 2B (5th)… entered season with 29 BB in his ML career…his 165 SO were 7th-most in the A.L…hit 9 HR in his 1st 21 G through 4/27, then hit 11 HR in final 102 G…posted multi-HR games in 3 of his 1st 4 G at KC in March/April (see below)…hit 2nd career walk-off HR on 9/3 vs. DET (Shane Green)…hit 15 of his 20 HR on the road…careerhigh 8-G hit streak, 8/28-9/4 (.414, 12-29)…on DL, 5/25- 6/3 with back spasms…also missed 4 G from 9/10-14 with leg soreness…made 117 total starts as DH (64), 1B (41), and 3B (12)…was not tendered a contract offer by the CWS on 11/30, making him a free agent. American League Leaders (Rookies): 2nd-HR (26); 4th-SLG (.452); 5th-RBI (68); T8th-Runs (43)...His 26 home runs ranked second among American League rookies and were the fourth-highest total in White Sox history by a rookie behind José Abreu (36 in 2014), Ron Kittle (35 in 1983) and Zeke Bonura (27 in 1934) … finished second on the team in homers behind Abreu (33)...Batted .245 (59-241) with 18 home runs and 42 RBI in the first half, compared to .185 (32-173) with eight homers and 26 RBI after the break … his 18 first-half homers tied Kittle (1983), Carlos May (1969) and Bonura (1934) for second-most in Sox history by a rookie... Made his first career Opening Day roster … reached base three times, including his first career triple and an estimated 442-foot home run, in his first start of the season on 4/6 vs. Detroit … the homer was his first since 9/22/13 at Colorado (with Arizona)...Became the first White Sox to record a triple and homer in his season debut since Wayne Nordhagen in 1980...Recorded his first pinch hit of the season, and second of his career, on 4/11 at Cleveland … drove in both Chicago runs with a second-inning double in a 2-1 victory on 4/12 at Cleveland...Snapped a 1-1 tie with a game-winning, solo home run in the seventh inning on 4/14 at Minnesota … marked his first career go-ahead homer in the seventh or later … tied the game with a sacrifice fly in the eighth inning on 4/16 at Target Field. Fell a triple shy of the cycle and matched his career highs with three hits and four RBI on 4/24 vs. Kansas City...Was 0-17 with three walks over a span of six games from 4/25-5/3 … snapped the stretch by going 2-3 with a solo homer and two runs scored on 5/4 at Kansas City...Hit a career-high two doubles on 6/2 vs. Detroit … batted .378/.404/.933 with four doubles, seven home runs, 11 RBI, seven multihit efforts and a 1.338 OPS from 6/12-23 (11 games)...Homered in four consecutive games for the first time in his career from 6/12-15 vs. Baltimore … became the first White Sox to accomplish the feat since Alex Ríos from 4/5-9/13...Connected on his first career grand slam and matched his career high with four RBI on 6/13 vs. the Orioles … the grand slam was the first by the White Sox in 2017 … fell a triple shy of hitting for the cycle on 6/22 at Minnesota...Hit his 18th home run on 7/5 at Oakland, tied with Bonura (1934), Kittle (1983) and May (1969) for the second-most by a White Sox rookie in the first half … José Abreu owns the record with 29 in 2014...Hit a solo home run in the eighth on 7/24 at the Cubs, extending the Sox lead to 3-1 … the home run travelled an estimated distance of 476 feet per MLB Statcast...Connected on his 20th home run on 7/29 vs. Cleveland …hit his first career game-ending homer on 7/30 vs. the Indians, a two-run shot in the ninth....Recorded a game-ending, RBI single in the ninth on 7/31 vs. Toronto, completing a six-run comeback for the Sox … also hit his 22nd home run of the season...Became the first White Sox to record consecutive walkoff RBI since Tony Graffanino from 9/21-22/01 vs. Kansas City, and first with back-to-back game-ending hits since Dave Martinez from 5/9-10/97 vs. Oakland (STATS LLC).... Was on the 10-day disabled list from 8/4-24 with a right wrist contusion suffered on 8/1 vs. Toronto when he was hit by a Marcus Stroman pitch … appeared in one injury rehab game with Class AAA Charlotte....Batted .154 (16-104) with three home runs and 14 RBI over his final 28 games of the season … matched his career high with three hits on 9/14 at Detroit … drove in three runs on 9/5 vs. Cleveland, 9/14 at Detroit and 9/22 vs. Kansas City...Participated in a hitters minicamp in Glendale in January. Spent most of the season with Class AAA Charlotte before suffering a season-ending injury in his only game with Chicago. Was recalled from Charlotte on 6/30 … made his White Sox debut that afternoon as the starting DH, going 1-2 with a RBI before suffering a broken right foot while running the bases. Was placed on the 15-day disabled list on 7/1 … underwent successful surgery on 7/1 at Rush University Medical Center … was transferred to the 60-day disabled list on 7/17. Appeared in 75 games with the Knights and was named to the Triple-A All-Star Team … was tied for the International League lead in doubles (20) and ranked fifth in RBI (46) at the time of his promotion. Hit seven of his 10 home runs off right-handers, and batted .312/.393/.532 vs. left-handers … his average increased every month: .214 in April, .269 in May and .313 in June. Played in 66 games at third base, six at first and one at DH. Hit three doubles on 4/25 at Toledo … connected on two home runs and drove in four on 5/13 vs. Durham and added three doubles the follownig day against the Bulls … went 3-5 with two doubles and four RBI on 5/19 at Gwinnett. Compiled an eight-game hitting streak from 6/21-28 before being recalled (four straight multihit efforts from 6/23-26) … homered and drove in six runs in a doubleheader on 6/28 vs. Durham, his final day with Charlotte. Was reinstated from the 60-day disabled list on 11/3. Entered the season ranked by MLB.com as the 18th-best prospect in the White Sox organization. Led the International League with 23 homers and ranked second in walks in his second year with Class AAA Charlotte. Ranked among the Knights team leaders in runs scored (1st, 63), walks (1st, 62), hits (2nd, 107) and RBI (2nd, 74). Was named by Baseball America as the Best Defensive third baseman in the IL … led all IL third baseman in fielding percentage (.971) and assists (281) and tied for the lead in double plays (94). Was selected to the IL All-Star team and participated in the Triple-A All-Star Game Home Run Derby. Hit 14 homers off RHP, compared to nine vs. LHP. Batted .221 (73-331) with 14 homers, 47 RBI and a .709 OPS in the first half (.173/9 HR/27 RBI after the break). Hit a season-high .260 (19-73) with five homers and 14 RBI in 19 April games. Made two appearances each at first base and shortstop … started 11 games as the designated hitter, batting .244 (10-41) with two homers and eight RBI. Homered in consecutive games on 4/29-30, 5/25-26 and 6/20-21 … recorded six RBI on 4/29 vs. Toledo. Hit safely in eight consecutive games from 5/11-18, going 10-32 (.313) with four RBI. Recorded multihomer games on 6/21 vs. Indianapolis and 9/2 vs. Durham.… registered a season-high four hits vs. the Indians and four RBI vs. the Bulls. Spent the season with Class AAA Charlotte in his first season in the White Sox organization … ranked fourth in the International League with 20 home runs...Appeared in 111 games at third base, 17 as the designated hitter and two at shortstop...Fifteen of his 20 home runs were off right-handers...Went 3-3 with two doubles and a RBI in his Knights debut as the Opening Day third baseman on 4/3 at Norfolk...Recorded a multihomer game on 6/30 vs. Gwinnett, including a two-run, game-ending shot in the 10th inning...Compiled a season-high, eight-game hitting streak from 7/6-17, going 11-34 (.324) with a double, three home runs and seven RBI...Homered in back-to-back games on 7/13-14...Made his first career appearance and start at shortstop on 7/12 vs. Syracuse … also started at short on 8/3 at Gwinnett...Entered the season ranked by Baseball America as the No. 4 Prospect in the Sox organization … also rated by MLB.com as the No. 80 Prospect overall in baseball...White Sox acquisition recommended by Bill Young, Joe Butler and Kevin Bootay. Spent most of the season with Class AAA Reno but appeared in 31 games over two stints with Arizona … made 20 starts at third base … his contract was purchased from Reno on 8/11 … made his major-league debut that night vs. the Mets and recorded his first hit, a single off Jonathan Niese … collected his first RBI on 8/14 vs. Baltimore … was optioned back to the Aces on 8/26 and recalled on 9/3 for the remainder of the season … compiled a .974 fielding percentage (1 E/39 TC) … batted .324 (11-34) with five doubles, three home runs and nine RBI over his final 13 games of the season … hit all three of his home runs during an eight-day span from 9/15-22, including the first of his career on 9/15 vs. Colorado (off Wilton Lopez) … hit a three-run homer on 9/21 at Colorado and went 2-4 with a double, home run and four RBI the next night against the Rockies … appeared in 115 games with Reno … was named to the Pacific Coast League midseason All-Star Team … played for Team USA at the All-Star Futures Game at Citi Field on 7/14 … earned Most Valuable Player honors after hitting a go-ahead, two-run homer … won the Triple-A All-Star Home Run Derby at Aces Ballpark … recorded an 11-game hitting streak from 5/16-18 (.366, 15-41) … entered the season ranked by Baseball America and MLB.com as the No. 4 Prospect in the Diamondbacks system … also was cited by Baseball America as the Best Power Hitter in the organization and the 88th-Best Prospect overall … acquisition was recommended by Bill Young, Joe Butler and Kevin Bootay. Hit .261 (127-for-486) with 28 doubles, 23 home runsand 76 RBI in 135 games with Double-A Mobile...Named to the Southern League mid-and postseason All-Star Teams...Ranked among SL leaders in runs scored (2nd, 81), totalbases (3rd, 228), home runs (4th), slugging percentage (5th, .469), walks (T-6th, 69) and doubles (T-8th)...Earned SL Batter of the Week for May 7-14...Played in just 11 games with Salt River in the Arizona FallLeague due to a concussion...selected to participate in the Rising Stars Game but did not play due to injury...Entered the season rated by MLB.com and Baseball America as the D-backs' No. 5 Prospect. Spent the entire season with Single-A Visalia and hit .277 (148-for-535) with 39 doubles, 20 home runs and 106 RBI in 135 games...Ranked among California League leaders in doubles (2nd), games played (T2nd), extra-base hits (6th, 60), runsscored (T8th, 93), total bases (T8th, 249) and home runs (T10th).♦ Played 66 games at first base, 56 at third and 12 as designatedhitter.♦ Collected 38 RBI over a 30-game span from May 1-June2...reached base safely in 21 consecutive games fromMay 3-26, batting .318 (27-for-85).♦ Was selected by Baseball America as the No. 16 Prospectin the CL following the season...entered the year rankedby Baseball America as the No. 3 Prospect in the D-backs'organization and No. 7 by MLB.com. Combined to hit .272 (132-for-486) with 36 doubles, 18 home runs and 90 RBI in 134 games between Single-A South Bend and Visalia...Named to the Midwest League mid/postseason All-Star Teams...Ranked among the ML leaders in slugging percentage (3rd, .504), RBI (T7th), doubles (T9th, 35) and home runs (T10th, 16). Appeared in 72 games in his first professional season and batted .241 (65-for-270) with two homers and 28 RBI...Rated by Baseball America as the third-best high school power hitter in the Pre-Draft Best Tools Rankings. February 7, 2019 Texas Rangers signed free agent 1B Matt Davidson to a minor league contract and invited him to spring training. 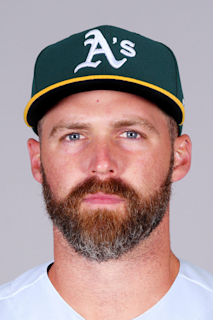 February 7, 2019 1B Matt Davidson assigned to Nashville Sounds. November 30, 2018 1B Matt Davidson elected free agency. June 4, 2018 Chicago White Sox activated DH Matt Davidson from the 10-day disabled list. May 28, 2018 Chicago White Sox placed DH Matt Davidson on the 10-day disabled list retroactive to May 25, 2018. Back spasms. August 25, 2017 Chicago White Sox activated DH Matt Davidson from the 10-day disabled list. August 23, 2017 Chicago White Sox sent 3B Matt Davidson on a rehab assignment to Charlotte Knights. August 8, 2017 Chicago White Sox placed 3B Matt Davidson on the 10-day disabled list retroactive to August 4, 2017. Right wrist contusion. November 3, 2016 Chicago White Sox activated 3B Matt Davidson from the 60-day disabled list. July 17, 2016 Chicago White Sox transferred 3B Matt Davidson from the 15-day disabled list to the 60-day disabled list. Broken right foot. July 1, 2016 Chicago White Sox placed 3B Matt Davidson on the 15-day disabled list. Broken right foot. June 30, 2016 Chicago White Sox recalled 3B Matt Davidson from Charlotte Knights. March 29, 2016 Chicago White Sox optioned 3B Matt Davidson to Charlotte Knights. October 5, 2015 Chicago White Sox recalled Matt Davidson from Charlotte Knights. March 18, 2015 Chicago White Sox optioned 3B Matt Davidson to Charlotte Knights. September 29, 2014 Chicago White Sox recalled Matt Davidson from Charlotte Knights. March 23, 2014 Chicago White Sox optioned 3B Matt Davidson to Charlotte Knights. December 16, 2013 Chicago White Sox traded RHP Addison Reed to Arizona Diamondbacks for 3B Matt Davidson. September 3, 2013 Arizona Diamondbacks recalled Matt Davidson from Reno Aces. August 26, 2013 Arizona Diamondbacks optioned Matt Davidson to Reno Aces. August 11, 2013 Arizona Diamondbacks selected the contract of Matt Davidson from Reno Aces. April 2, 2013 Matt Davidson assigned to Reno Aces from Mobile BayBears. January 10, 2013 Arizona Diamondbacks invited non-roster 3B Matt Davidson to spring training. January 6, 2012 Arizona Diamondbacks invited non-roster 3B Matt Davidson to spring training. September 14, 2011 Matt Davidson assigned to Mobile BayBears from Visalia Rawhide. February 25, 2011 3B Matt Davidson assigned to Arizona Diamondbacks. August 17, 2010 Matt Davidson assigned to Visalia Rawhide from South Bend Silver Hawks. April 5, 2010 Matt Davidson assigned to South Bend Silver Hawks from Yakima Bears. June 17, 2009 Matt Davidson assigned to Yakima Bears from Arizona Diamondbacks. June 15, 2009 Arizona Diamondbacks signed Matt Davidson.